Shopify is a great e-commerce platform to use in order to sell your products online. Unlike any other e-commerce platform, its payment gateways and easy backend administration make it an easy choice for developers to use in building up e-commerce websites for their themselves and their clients. 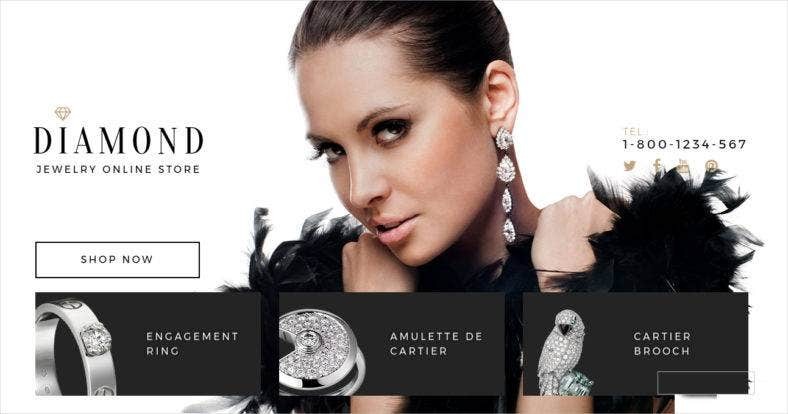 In the jewelry industry, a visually stunning presentation is essential in order to entice customers. 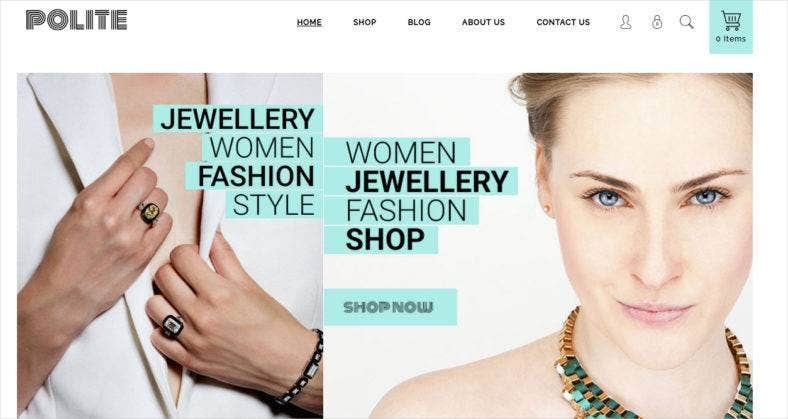 So, we have gathered a number of Shopify themes and templates that you can use to give your online shop the glitz and glamor it needs. 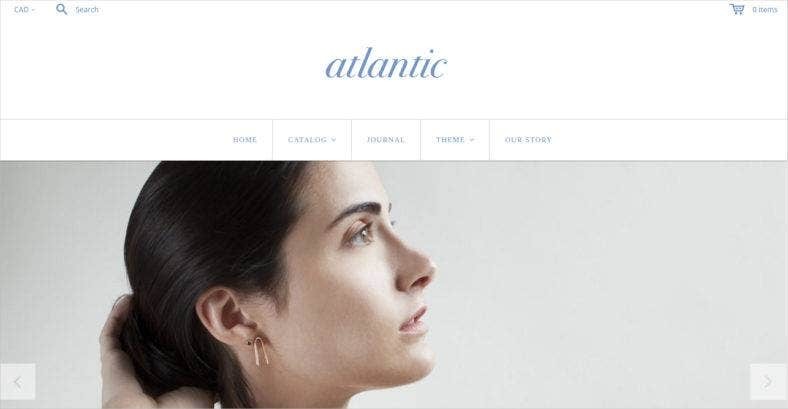 Atlantic is a stylish theme with four styles available for you to choose from. Whether you’re going for the modern, chic, organic, or light style, this Shopify theme is guaranteed to boost conversions. It features a modular-style homepage and a multi-column menu perfect for large catalogs. One thing that sets this responsive Shopify theme apart from others is its full-screen slideshow background on the homepage. It also features a mega menu and several layouts to choose from. All these makes it perfect for high-end jewelery shops to showcase their sparkling works of art. Polite is a multipurpose Shopify theme that is not only great for selling jewelry but also for other types of accessories. Its simple yet modern design aesthetics makes it suitable for medium to high end jewelry brands. It has a super responsive layout with advanced theme setting options. 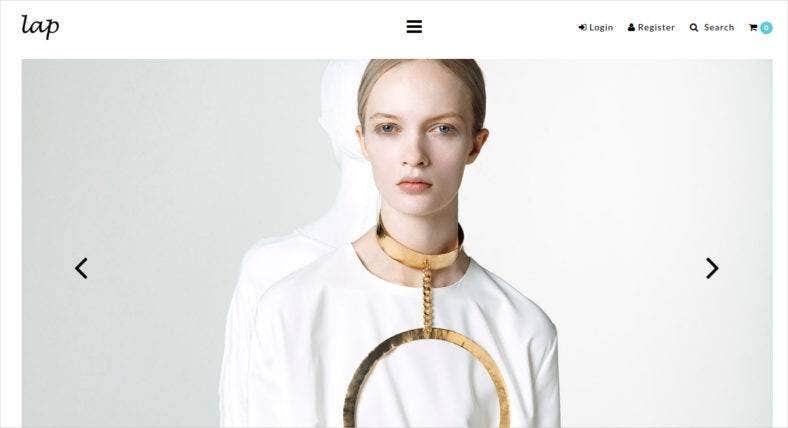 Rome is a simple jewelry and fashion website template with a clean and organized architecture. It features two available styles to choose from for your homepage. One version displays a series of high resolution photoshoot images to represent each collection, so it’s perfect for image-heavy designs. Pull is a Shopify template that is made with the female consumer in mind. But even with its feminine color scheme, it can also be used for men’s jewelry and accessories. With its beautiful typography and unconventional page layout, this template will surely pull in both leads and clients. Editions is a simple and spacious theme that only allows a few images in a slideshow on its homepage. This is done so in order for visitors to focus more on its featured products below. 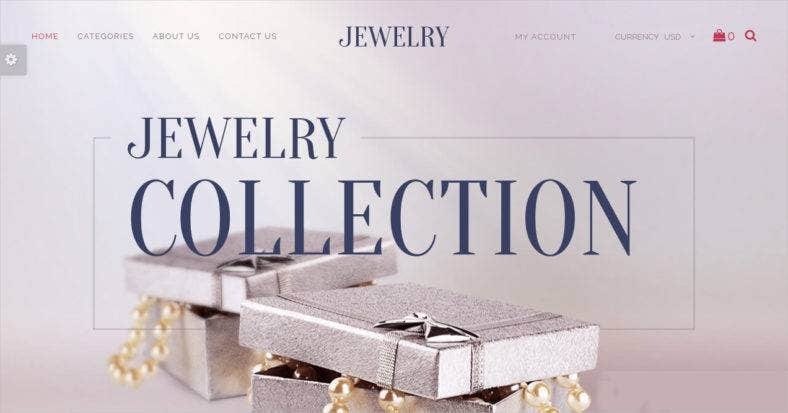 It is easy on the eyes with its mobile friendly design, which is ideal for all levels of jewelry products. Quite different from the batch, Hobby is a bit of a whimsical theme because of the font package it’s using. If you prefer a less-professional but fun theme over a dark and stiff template, then, this is the right one for you. It is responsive and looks great on any devices. This template features a header and footer innovative design that will surely impress your customers. 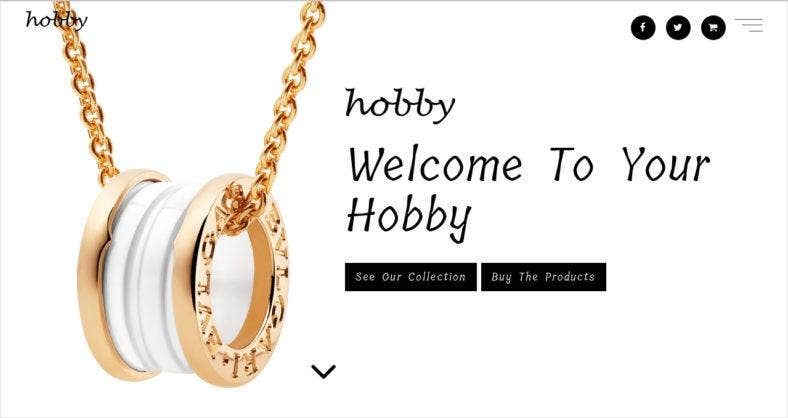 Anormy is the best choice for your jewelry eCommerce website because it gives you large high-resolution images for your featured articles and product items. This Shopify theme features an image-heavy design that allows you to display you products like how it should be worn while you photograph them. With its creative layout, you can customize your page any way you want. This theme is great for startup businesses or custom jewelry projects. 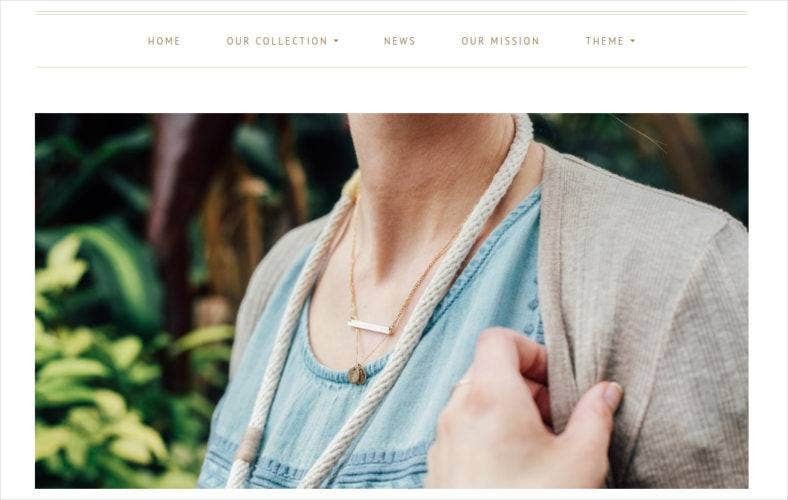 Lap is another jewelry and Shopify fashion theme made for women. With a simple layout and typography, this template exudes timelessness if not luxury. This type of aesthetic creates a picture-perfect theme for avant-garde and high-fashion items. With full functional features, Lap is another great choice. While wedding jewelry is in another league from regular jewelry, thus a special website is dedicated only for them. Jewelry is one elegant and fancy template perfect for such special items. It allows your users to customize their viewing experience with multiple product display options. As you may have discovered in this collection, Shopify is one of the ultimate e-commerce platforms that you should use. This is because it offers an out-of-the-box solution for your online store concerns. 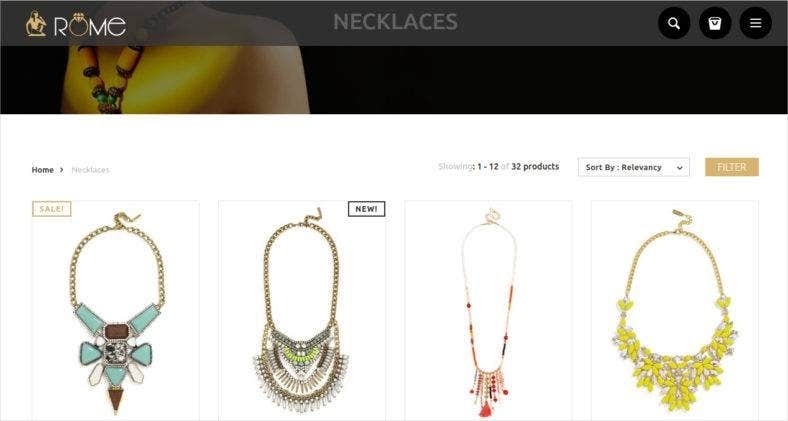 With these gorgeous Shopify themes, choosing the right platform and design for your jewelry business has definitely been made easy.